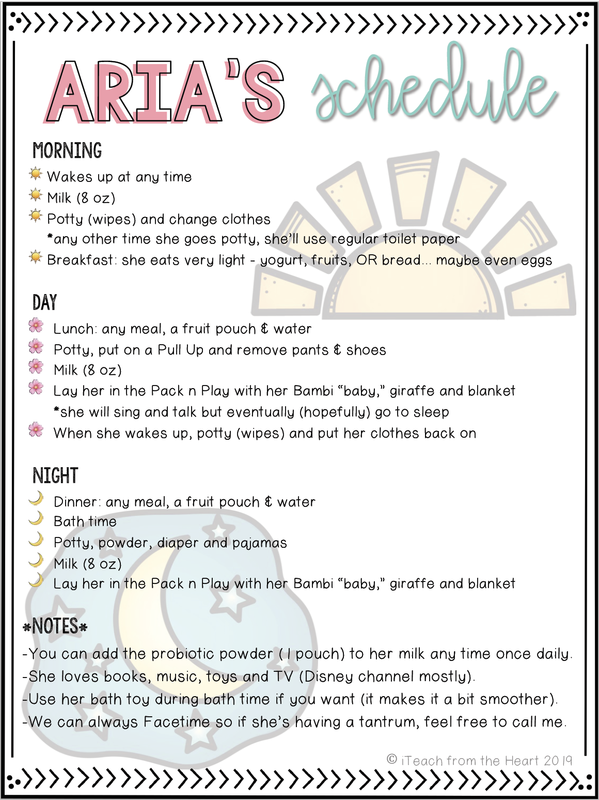 Any extra notes for your babysitter. 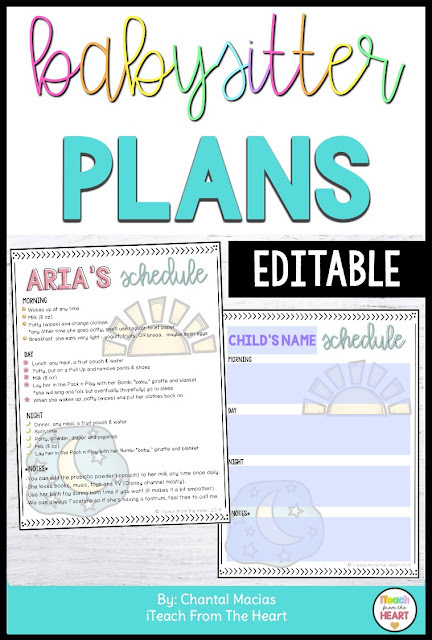 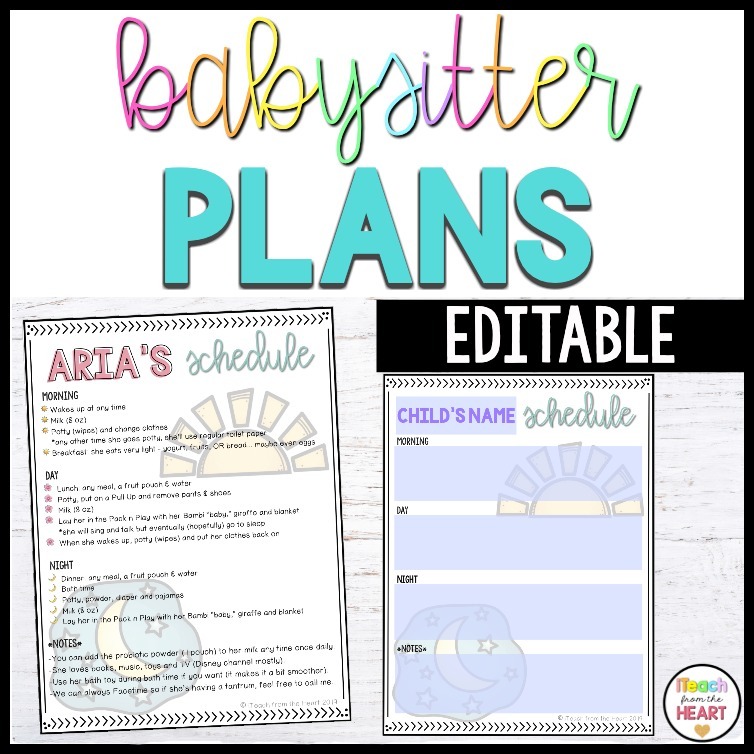 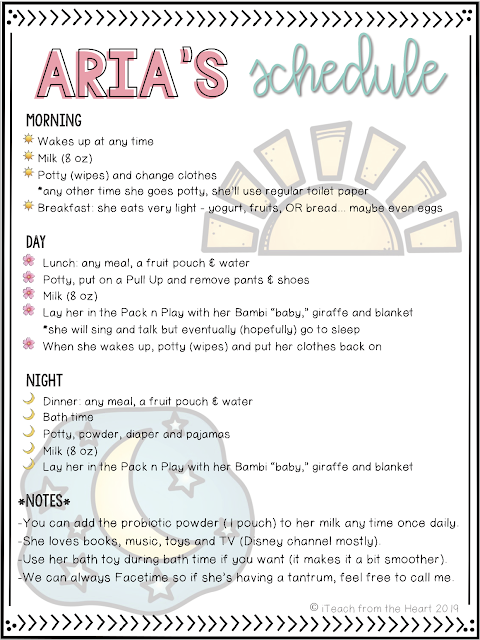 Here's the Babysitter Plans template I developed for you to help you create your child's schedule! Questions about the ideas on this scheduler? 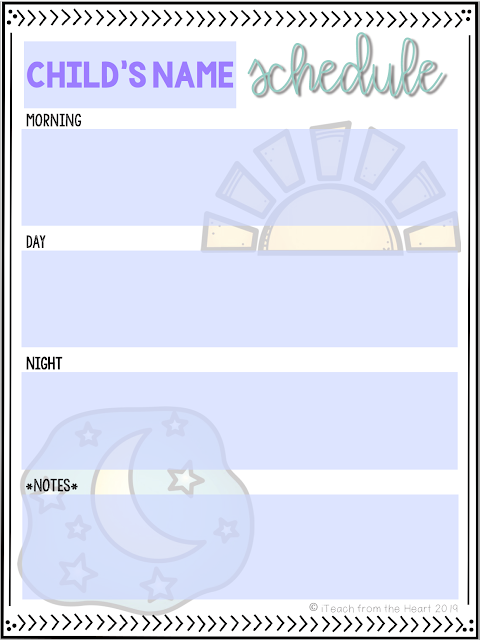 Please feel free to comment below or email me at iteachfromtheheartblog@gmail.com.